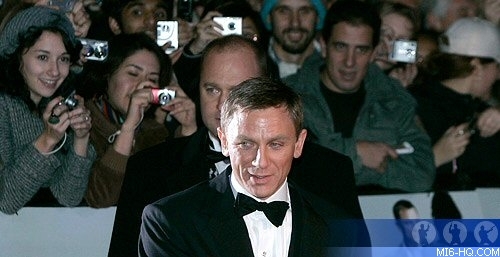 On November 14th, 2006, the world premiere of 'Casino Royale' descended on London's Leicester Square and media organizations from across the globe were there to cover the debut of Daniel Craig's 007. Unlike more recent premieres, the Leicester Square event did not have a large video production or a live stream. Fans had to rely on broadcast television news and entertainment reports for coverage of the event. Online video was still in its infancy back in 2006, and so the quality and quantity of footage available is limited. Over 8 hours of total coverage of the event was measured on major TV networks with 222 on-air mentions in the 3 day period surrounding the premiere. This was almost double any other major film release that year.